Allen Veterinary Hospital opened its doors in January, 1986. Dr. Mike Overton founded the hospital in order to meet the small animal needs of Allen, Texas. Dr. Alan Coffman, a 16-year employee of the hospital, purchased the practice upon Dr. Overton's retirement in 2010, in order to continue exceptional service and reputation of Allen Veterinary Hospital. Since then, it has grown to include five full-time veterinarians, one consultant veterinarian, and a staff of more than 30. 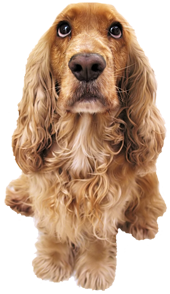 We treat all sorts of companion animals with special emphasis in dogs and cats. Three clinic cats roam the premises making sure that everyone feels at home, kept company by birds, ferrets, snakes, and an aquarium full of fish. Allen Veterinary Hospital has been awarded The People's Choice Award for Best Veterinary Practice in Collin County for the previous eight years and has been first runner-up twice. Dr. Alan Coffman was recognized by The Texas Animal Control Association and received the W.R. Bilderback, DVM Award for rendering outstanding service to the animal control profession for the state of Texas. Allen Veterinary Hospital is a proud sponsor of Allen Eagles High School (football, baseball, basketball, golf, performing arts). They are also sponsors of the Allen Americans hockey team, 2012-13, 2013-14 Presidents Cup Champions and 2014-15, 2015-16 Kelly Cup Champions! (972) 727-8383 during normal office hours.